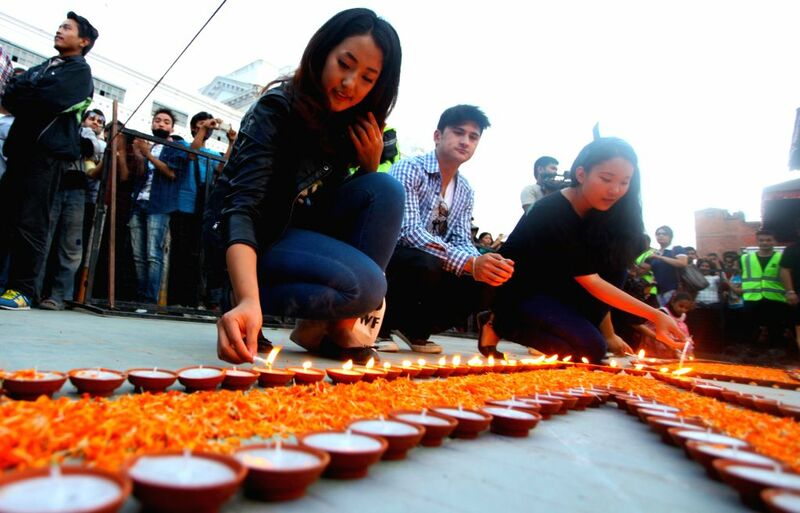 KATHMANDU, March 29, 2015 - Miss Nepal 2014 Subin Limbu (L, front) lights candles during the annual Earth Hour campaign in Kathmandu, Nepal, March 28, 2015. Earth Hour started as a lights-off event organized by World Wide Fund for Nature in 2007. 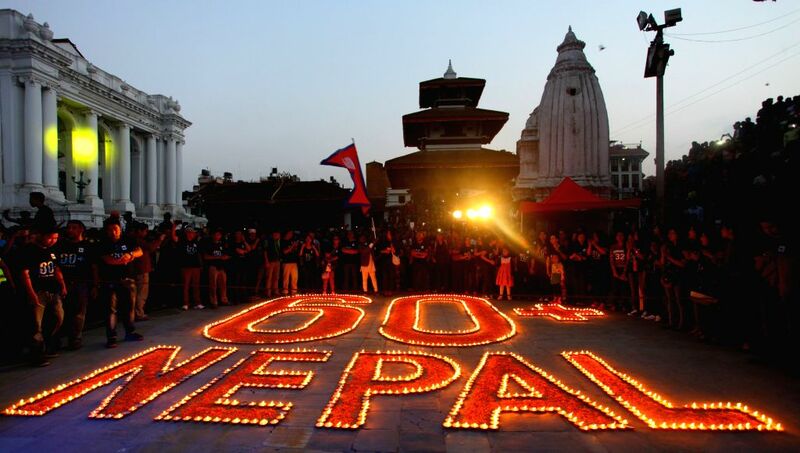 Nepalese youth gather around the shape of "60 NEPAL" to mark the annual Earth Hour campaign in Kathmandu, Nepal, March 28, 2015.